In January, I had the coolest thing happen. My favorite band, Guster, had a concert in this little church and they were taking requests. I was feeling uncharacteristically bold (I just needed to be brave for 20 seconds, right?) and so I stood up and shot my hand in the air. They called on me and I requested my all-time favorite song, Window (my ringtone for years…). Their response? They had prearranged that the person who requested that particular song would be serenaded. Here’s the result caught on camera– it was intimate, incredible and taught me that it pays to be brave. 1. I flew to Chicago. There were great rewards (friends, relaxation, uninterrupted sleep, shopping!) ahead of me and it was a fantastic weekend but I hate flying. 2. I spotted Neil Patrick Harris at the airport and was about to just watch him, awkwardly, when I decided to dare greatly. I subtly walked up to him and told him I thought he was wonderful and asked for a side hug (to which he replied “Side hugs are the best!”). 3. I did the “metal” class at my current yoga studio- I had heard it was one of the most challenging class they offered. I tried it, I sweated my arse off, I survived! I’ll go again! 4. 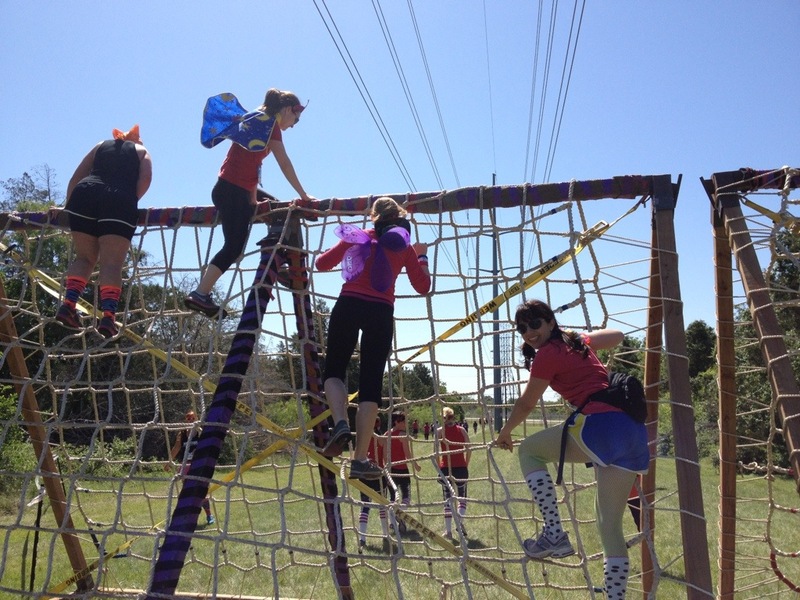 I participated in the Diva Dash, a 5k run with obstacles. Most of it was just plain fun but some of the obstacles (especially the ones involving heights or balance) were really challenging. 5. I tried Anti-Gravity Yoga (twice!). It was fun, relaxing, tough, and a little scary. It’s awesome to come out of a class feeling relaxed and powerful. My favorite daring poses were the vampire (pictured below; here’s a video link in German too), star (hanging upside down with fabric just around your tush, arms and legs outstretched) and swoosh (flying through the air, just supported at your hips. It was less yoga to me, more pilates or gymnastics. Hanging upside down is a strange balance of relaxation and panic. Funny thing, I met another blogger, Terri. 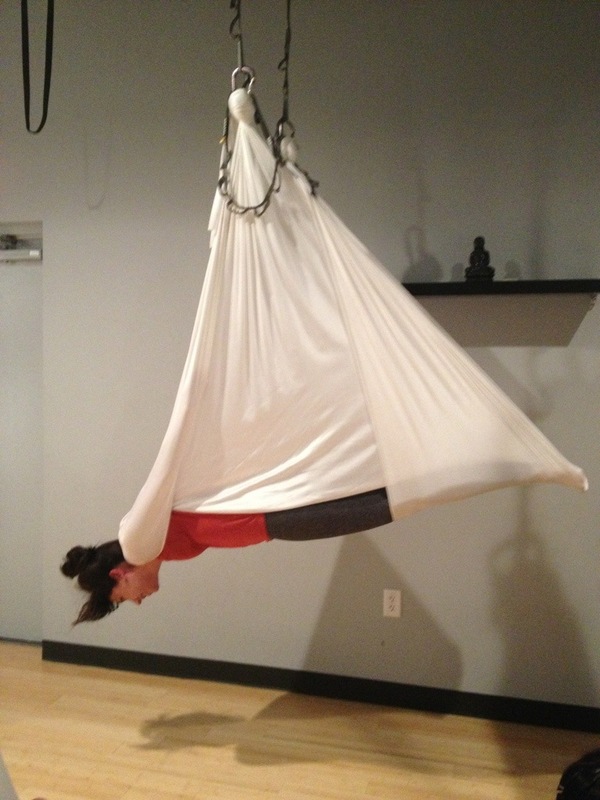 Check out her great post about anti-gravity yoga! 6. I colored my hair blue. It’s just a little section and one would probably never notice unless I point it out, but it is blue. Next time, I will be even bolder. Thanks for supporting me in my journey. 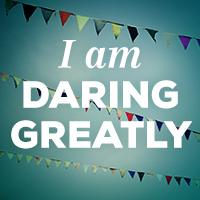 I hope we can all be brave, even for just 20 seconds, daring greatly in every aspect of our lives. This month I organized my photos, I backed them up, deleted duplicate files and I finally ordered some photos for these frames below. We are heading into spring! Any projects that you are hoping to tackle? About two weeks ago, I decided I had gained what I needed to (or shall I say lost, since I certainly felt healthier!) 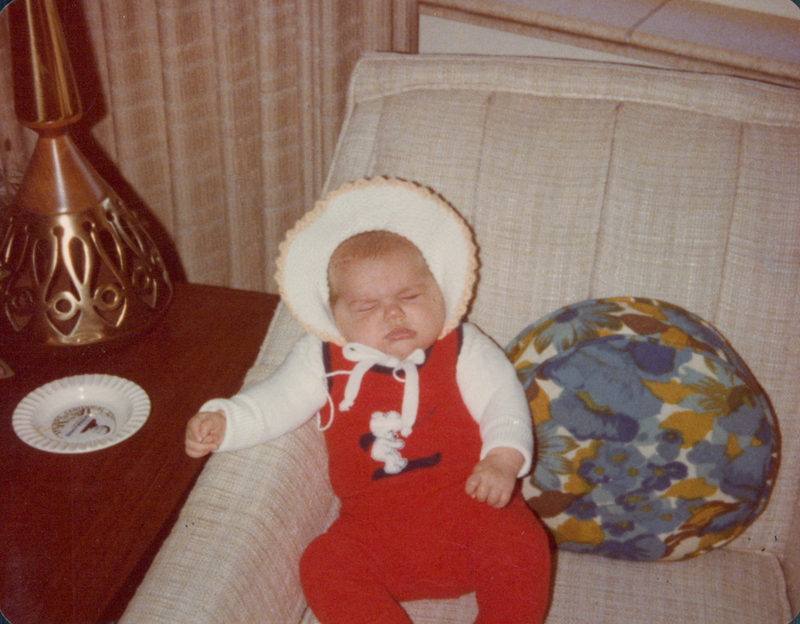 from my resolution this month to limit sugar and I went back to eating sugar in moderation. I’m more aware of what I’m eating and don’t feel like sugar has “the power” it had over me in December! In February, I resolve to catch-up on my digital photo organization and finally, frame some of my favorites. 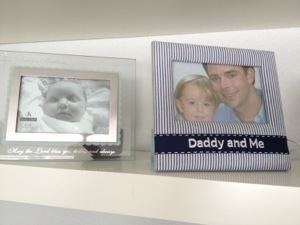 Seriously, I’ve been wanting to get photos framed for YEARS. YEARS!!! Let’s do this.